The gaming industry is full of trends. Stylish headphones, flashy computer cases, and giant curved screens are all telltale signs of a serious gamer. But the savvy consumer knows that not all of these technologies will actually improve your gaming experience. In many cases, they’re just for looks. Keyboards are often lumped into this category. While it’s true that many keyboards are more form than function, this isn’t always the case. Mechanical keyboards, for instance, have a dedicated and loyal following. And this is for a good reason, too. It doesn’t matter whether you’re a professional gamer, or a secretary. If you type, then a mechanical keyboard can help you type faster, and with higher accuracy. 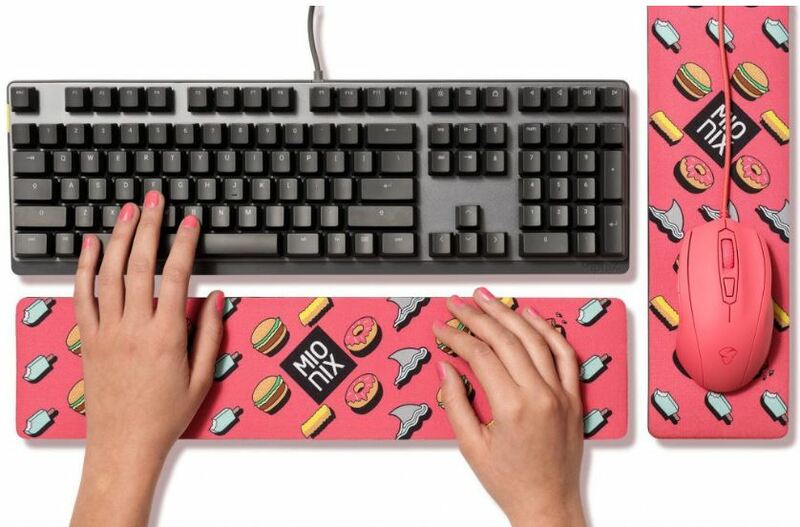 Although mechanical keyboards have become trendy over the past few years, this isn’t new technology. In fact, the technology is quite old. The IBM model M keyboard, released in 1985, was an instant success. It was an absolute dream to type on, and blew away every keyboard on the market. For many years, this was the keyboard sold with IBM computers. But as computing technology became more affordable in the early 1990’s, manufacturers replaced the physical key mechanisms with rubber domes. This is the technology used in most keyboards today, and one of the few examples of why newer isn’t always better. What’s so great about a mechanical keyboard? To answer this question, all you need to do is touch one. With each keystroke, you’ll feel a firm but precise “click”. Typing is all muscle memory. You’re not consciously telling your fingers where to move and how hard to press – it’s an automatic process. Your mind is using the feel of the keys to determine when to move onto the next one. With a firm click, you’ll give your fingers a clear indication that a key was successfully depressed. Touch typists are able to improve their accuracy drastically, and gamers can improve their response time. There are many mechanical keyboards on the market, but not all are alike. Today, we’ll be taking a look at the Mionix Wei Mechanical RGB Gaming Keyboard. We’ll go fingers-on to find out how it performs, and see if this is the model that belongs on your desk. From first glance, there doesn’t appear to be much to say about this keyboard. It looks pretty standard, if not fairly bare-bones. But looks can be deceiving. Underneath each standardized keycap is a unique switch. The Cherry MX Silent switches have the physical click you want, without the audible click that your neighbours will hate. This makes it one of the few mechanical keyboards that can be used in an office, or other crowded environment. The switches also have an RGB LED built right in. This allows the matte-black design of the keyboard to act as a canvas for your own private lighting show, giving you that unique touch that gamers crave. The core of every mechanical keyboard is the switches. Most budget priced models use their own brand, if not 3rd party switches. By Cherry is the top-tier brand name, and their switches can be found in all high end keyboards. But not all Cherry switches are alike. Most of the models are color coded. Cherry MX Blue, for example, is your standard mechanical switch. They are very loud, but provide the most tactile feedback. MX Reds used to be the favorite choice of gamers, as they had a lower actuation point, and were a little quieter. But you won’t find any standard Cherry switch in this keyboard. It’s using the just-released Cherry MX Silent switches. As the name implies, they’re whisper quiet, and their engineering is something to marvel at. Mechanical keyboards have three sources of noise. The loud “tick” is the first thing you hear, caused by the mechanical actuation of the switch. Next, you hear the key bottom out, and hit the plastic surface of the keyboard. When you release the key, it springs back up and hits the top of the switch. All three of these noises lead to the “CLATUN” type sound that mechanical keyboards are known for. What Cherry has done is replace the switching slide with a spring loaded mechanism, and placed a foam O-ring at the bottom. The return path has been made non linear, so the key slows down as it approaches the top of the range. Is the keyboard perfectly silent? No. But it’s no louder than a rubber dome keyboard, and still adheres almost perfectly to the response profile of the Cherry MX Red switches – gamers favorite choice. People buy mechanical keyboards because of how they feel. They’re fast, responsive, and tactile. But their feeling needs to be modified to their application. 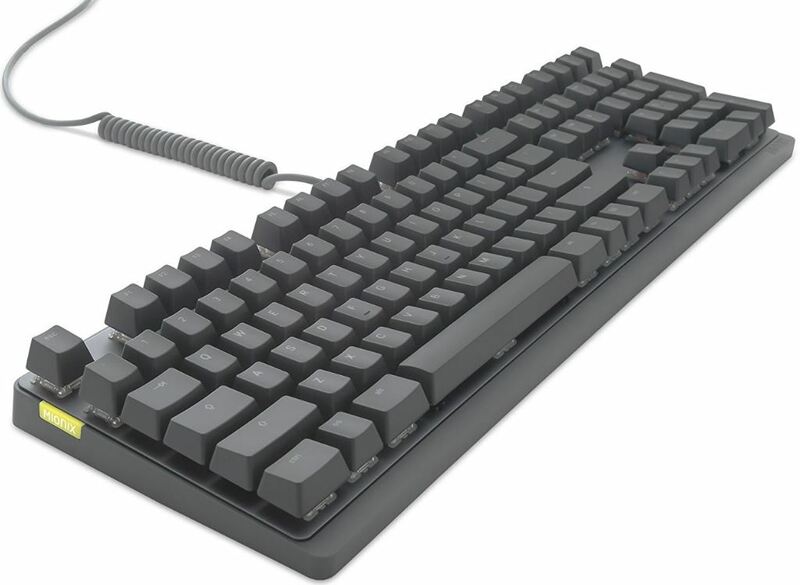 Since this keyboard uses switches that were modelled after the Cherry MX Red, their feel is ideal for gamers. If you’ve used another switch before, you’ll probably notice that this keyboard feels a little shallower. When you release the key, it pops back up almost instantly. The advantage of this is that the time between keystrokes is reduced. In games that may require you to hit the same key over and over again, this will improve your response time. These keys also have a fairly low actuation force. You only need to skim them in order to actuate them. That being said, it still requires enough force that you’re not going to accidentally trigger them. 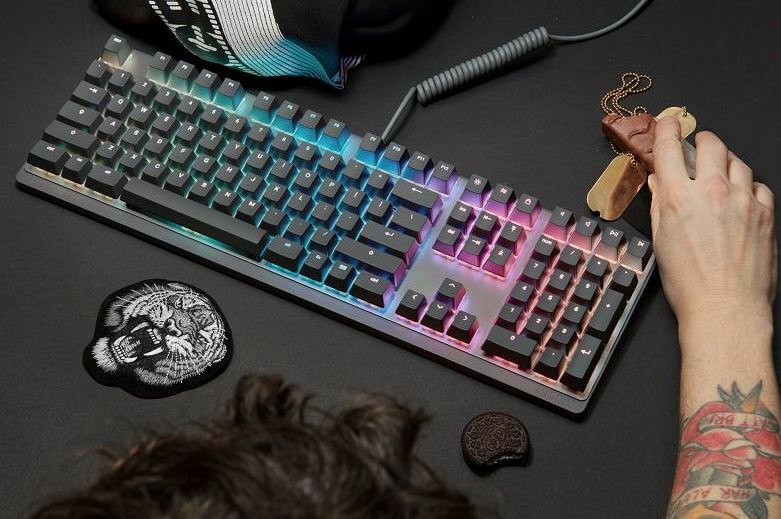 Overall, the feel of this keyboard is best described by the word “precise.” There is a small learning curve getting used to it, but once you do you’ll never want to go back to another gaming keyboard. While this doesn’t have much of an effect on the functionality of the keyboard, the visual appearance can have a striking effect on the look of your desk. We haven’t always been fans of that “in your face” look that is so popular with gamers today, but the look of the RGB lighting system certainly wowed us. It’s simultaneously subtle, yet eye catching. The LED is positioned behind each of the keys. When illuminated, the effect is like a halo of light that goes around each key. There are a few different lighting effects available, most of which are quite subtle. This makes it easy to play in the dark, so you can still find that elusive “~” key, when you need to. The simple metal design is a huge asset in this area. The keyboard is extremely well made. This is the kind of thing that can last you many years, so we have absolutely no concerns about the build quality. First, it’s machined from a single piece of aluminum. The plate is thick, and has holes stamped out for the switches to be mounted. Cherry is already known to have some of the longest lasting switches on the market. Similar designs have lasted upwards of 20 years. But if one key does happen to break, it’s a simple matter to swap it out, and throw in a replacement. Overall cost? If it’s not covered under warranty, it will only cost a couple bucks. The bottom of the keyboard is covered with a large, thick piece of rubber. This prevents it from taking damage if dropped, and keeps it from sliding around on your desk. Overall, we’d be shocked if this thing stopped working within the next 5 years. If the RGB lighting is one of the reasons you want to buy this keyboard, it may not be the best option. Compared to other models, the lighting effect is incredibly subtle. Systems like the Steelseries QCK lighting sync the RGB leds between your mouse, keyboard, and mousepad, so you get a cohesive lighting. But with this model, you only have a few schemes to choose from. Have you ever been to a high end Italian restaurant? We’re not talking about those cheap pizza and pasta places. We’re talking about the real deal, true Italian food. If you haven’t, look up Italian recipes. The first time we had it, we were surprised. The meals were so simple. Often there is just a few ingredients, and the meals looked visually plain. But just one taste, and you’re blown away by how good it is. In many ways, the Mionix Wei Mechanical RGB Gaming Keyboard is similar. It’s very minimalist in design, without many peripheral features. However, it is extremely high quality. The switches are the best mechanical keys that money can buy, and the board itself is built to an impressively high standard. It might not be the cheapest option on the market, but for what you get it’s an incredible deal. Who should buy this? If you’re a gamer, we’d absolutely recommend it. But this isn’t suitable exclusively for gamers. Whether you’re typing up essays or filling in spreadsheets, anyone that uses a keyboard for a long period of time will benefit from these keys.